President Donald Trump’s suggestion to arm teachers to combat school shootings was met with an emphatic “no” at the state Democratic Party Convention in San Diego. 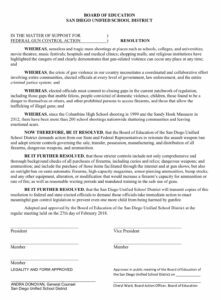 San Diego teachers are outraged by the Trump and NRA proposal to arm teachers in response to the deaths of 17 people at Marjory Stoneman Douglas High School in Parkland, Florida, said San Diego Unified school board president Kevin Beiser. 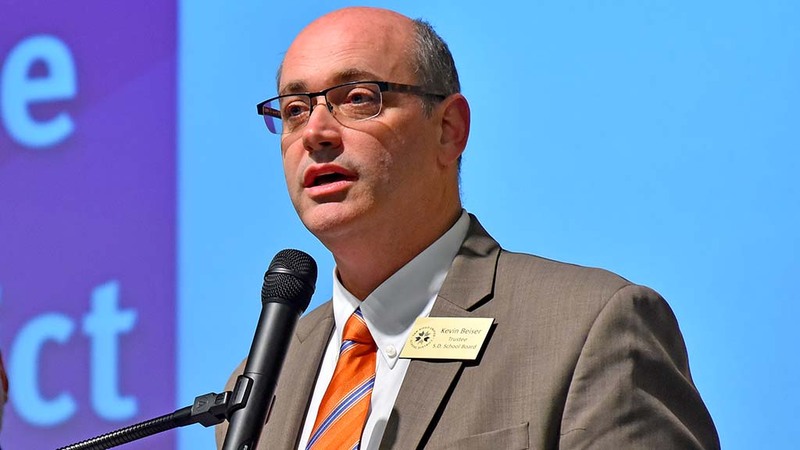 Beiser, a math teacher, said he plans to introduce at Tuesday’s board meeting a resolution to demand lawmakers reinstate the federal assault weapons ban, enact stricter gun controls including thorough background checks for purchases of guns and ammunition, and a ban on semi-automatic firearms, high-capacity magazines, armor-piercing ammunition, and bump stocks. He also wants reasonable waiting periods for gun purchases and mandated weapons training. The resolution, introduced with board colleague Richard Barrera, is in partnership with Moms Demand Action, he said. “This (arming teachers) conversation is way off track,” Beiser said. “We really need to talk about solutions, and I think that is an assault weapon ban. It should be a felony in the United States to own an AR-15. Those are not guns for hunting; they are guns for killing. Beiser said he strongly supports school police, so that they can be the ones who are well trained. School resource officers “should have the resources to protect teachers like myself, so I can help my student succeed and go on to college,” he said. 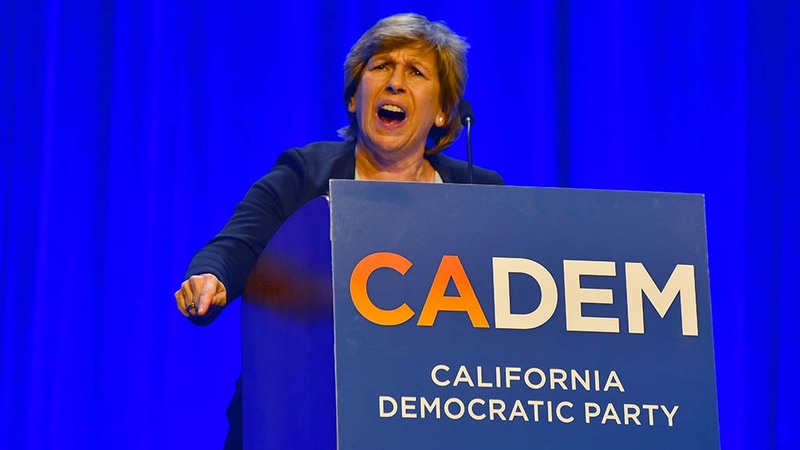 Before his comments, Randi Weingarten, president of the American Federation of Teachers, said she got calls this week from thousands of teachers. “All of them said: ‘This is a crazy idea,” said the union leader. Both Beiser and Weingarten encouraged people to take part March 24 in the March for Our Lives, an event initiated by survivors of the Florida school shooting. “Help us stop the NRA from creating more guns in schools,” said Weingarten, who lives on Long Island and in Washington, D.C. In San Diego, a March for Our Lives rally is scheduled for 10 a.m. March 24 in front of the County Administration Building. Beiser said he is working with SDUSD Superintendent Cindy Marten to plan San Diego schools’ approach to the call for a walkout. 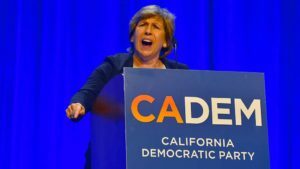 Weingarten in her speech noted companies that have cut ties with the NRA. Firms eliminating discount offers for NRA members include Hertz Corp, Enterprise, Avis and Budget Car Rentals, United and Delta Airlines, Best Western and Wyndham Hotels, MetLife Inc., and Chubb insurance companies. Bank of America announced that it is re-examining its relationship with the NRA, she said. The moves come as petitions circulated online targeting companies offering discounts to NRA members on its website. #BoycottNRA was trending on Twitter. 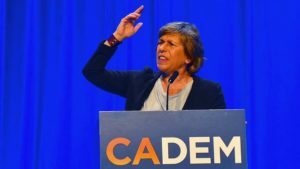 “I found it really interesting that these people are looking at their bottom line and have decided to pull away from the NRA,” Weingarten said after her speech. Weingarten said America needs to stop the proliferation of guns and believes that responsible gun owners favor this also. The NRA leadership is more attuned to the gun manufacturers then to their members, she said. 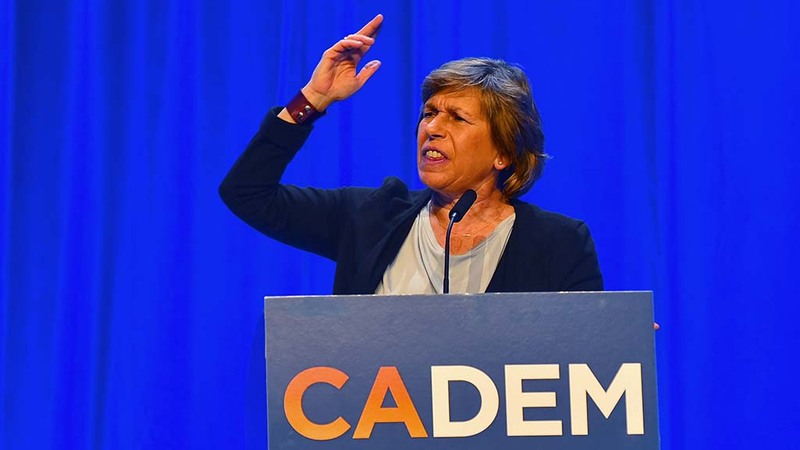 “Every amendment in the Constitution is conditioned by responsibility,” Weingarten said. On Saturday, Trump said the decision to arm teachers would be up to the states. He also has said he envisions about 20 percent of teachers and other school personnel carrying weapons.